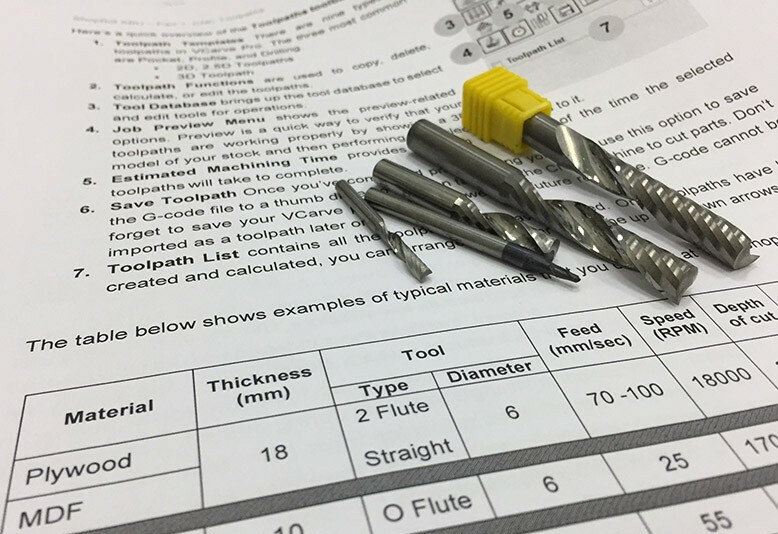 Learn the basics of CNC (computer numerical control) devices and software usage. This hands-on class will present the whole CNC process, from CAD (computer aided design) to CAM (computer aided machining) to CUT (cutting your part). Learn the essentials of calculating feeds and speeds. Understand the uses and differences between climb cutting and conventional cutting. You will learn hands on the ins and outs of working with VCarve Pro software packages. Mastering VCarve Pro, you will be able to quickly learn how to operate the ShopBot. VCarve Pro is an easy-to-use CNC toolpath engine that generates precision toolpaths for virtually all CNC machines. You'll learn how to convert CAD DXF files and graphic designs into GCode-based CNC toolpaths for machining high quality parts and components. Upon successful completion of this class you will have the experience and knowledge necessary to enroll in ShopBot SBU – Part 2: CNC Router.